The Bishop of Colchester has launched a stinging attack on the ‘gaping holes’ in DWP policy. There needs to be something about a recognition of our common humanity that just supports those who are in need. The foodbank, brilliant though it is, is a sign that, on the whole, we have failed. We have failed to care for those most in need. We have failed to protect the most vulnerable in society. And our failures, as Government, as society, as a so-called welfare state, are then mopped up by the third sector not-for-profit organisations. The Bishop of Colchester is blaming the government for driving its own people into poverty. Roger Morris has criticised its policies as "hard-hearted", "tight-fisted" and "cruel". The first thing is not exactly rocket science and it is this – the level of benefits needs to be higher. The Institute for Fiscal Studies has found following the 2017 Budget, the poorest ten per cent of working-age households with children were expected to see their income fall by nearly 18 per cent as a result of tax and benefit changes between 2015 and 2020. Secondly, scrap the two-child limit. This invidious policy restricts tax credit and universal credit to the first two children in a family. Since 2010, when a Conservative-led government came to power, the amount of people forced to use food banks has soared. In 2010, the UK’s biggest food bank network – the Trussell Trust – was used 41,00 times. This rose to 1.2 million uses in 2017. Between 1 April 2017 and 31 March 2018, it helped feed over 484,000 children. Unless changes are made, the food bank will be needed more and more in the future and not just for those in a crisis but as an ongoing supplement to the inadequate aid that is offered to those most in need. The rise in use of food banks is a symbol of the “gaping holes” in the UK benefits system. 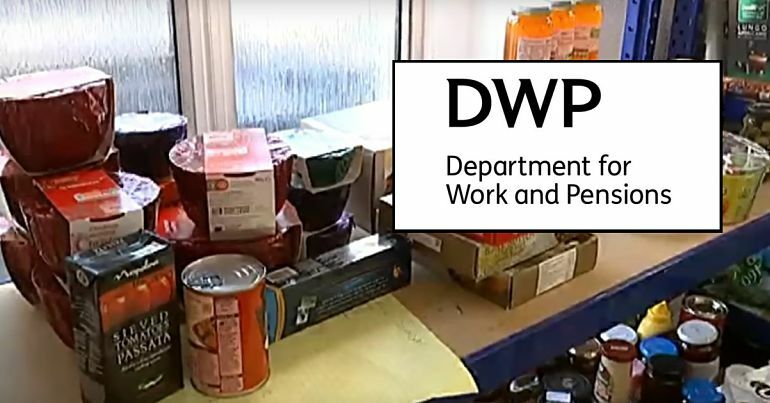 It’s time for the DWP to show some “common humanity” and support those in need. Theresa May tried to boast about her record in government. Labour’s David Lammy tore her apart.